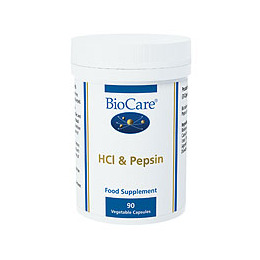 HCI & Pepsin combines HCl as betaine hydrochloride and pepsin to provide digestive support. Pepsin hydrolyses all types of proteins, reducing them to polypeptides. HCI provides the optimal environment (around pH 2) for pepsin activity. Adequate levels of HCI are required for the absorption of minerals such as iron, calcium and zinc. Provides HCI as betaine hydrochloride and pepsin. Pepsin hydrolyses all types of proteins, reducing them to polypeptides. HCI provides the optimal environment (around pH 2) for pepsin activity. HCI provides an inhibitory environment for potential pathogenic bacteria ingested with food. Encapsulation allows for a quicker release of the ingredients and reduces the likelihood of gastric wall irritation that can sometimes occur with tablets. Low potency and allows for more flexibility in adjusting individual requirements. Betaine Hydrochloride, Potato Maltodextrin, Capsule Shell (hypromellose),, Bulking Agent (Cellulose), Anti-caking Agents (Vegetable Magnesium Stearate & Silicon Dioxide), Pepsin. One capsule taken three times daily with food, or as professionally directed NB: HCI & Pepsin capsules should not be opened or chewed. 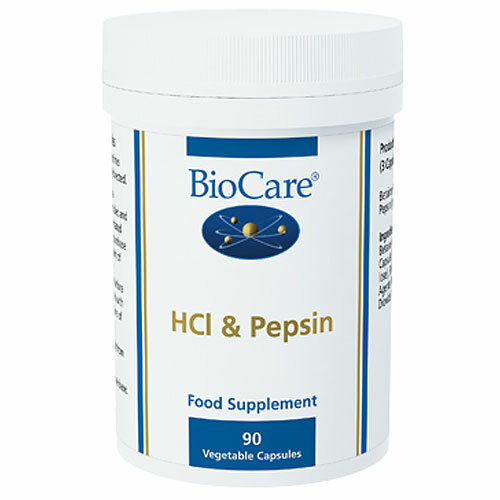 Below are reviews of HCI & Pepsin - Stomach Acid - 90 Vegicaps by bodykind customers. If you have tried this product we'd love to hear what you think so please leave a review. This product improves my digestion and my food intolerances..
Goog quality relationship with the price..
HCI & Pepsin combines HCl as betaine hydrochloride and pepsin to provide digestive support. Pepsin hydrolyses all types of proteins, reducing them to polypeptides. 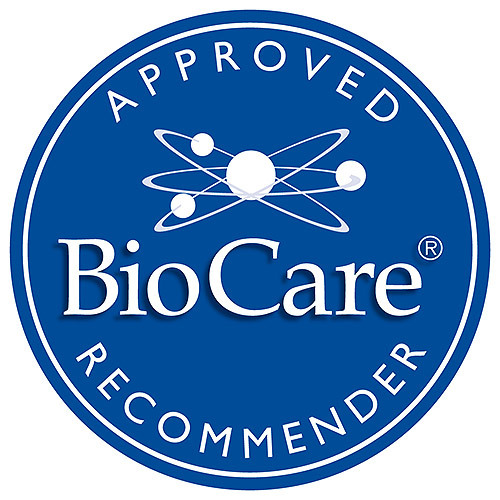 Adequate levels of HCl are required for the absorption of important minerals.